When you do great work, you want to be discovered. SEO(SEARCH ENGINE OPTIMIZATION):- We help you bring relevant visitors from search engines to your website, and drive those visits to conversion. ASO(APP STORE OPTIMIZATION):- Increase visibility of your mobile application on the iOS or Android stores in order to reach your target audience, induce downloads, and increase the user base. ANALYTICS:- With insights that help you understand your customers, your competitors, and your business better, we provide you the data you need to make business decisions that matter. We understand your business goals to help you reach your target audience. Thorough examination of the current state of the website or app store listing. Development and optimization work based on the recommendations of the audit. SEO is an ongoing activity that needs to be done on a sustained basis to show results. One should look at doing SEO for a period of at least 6 months. Are analytics needed for my website or app? We highly recommend analytics integration for your app or website. 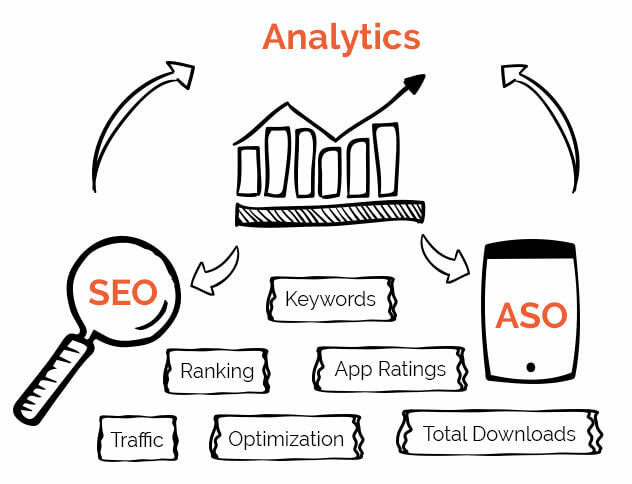 Analytics help you make decisions that can improve the quality and quantity of business that your app/website drives. Does SEO always produce results? It is hard to say whether SEO will produce results, without first understanding the nature of your business. We’d recommend a site and competitor audit to understand if SEO is the right choice for your business. You should also understand that SEO requires effort and time to be invested in activities like content generation, development and coordination between client and provider to reap results. However, the results last longer. Depending on your business, you could use traffic, or leads, or conversions to understand the effectiveness of SEO activities. You should set out the measures prior to beginning SEO activities. 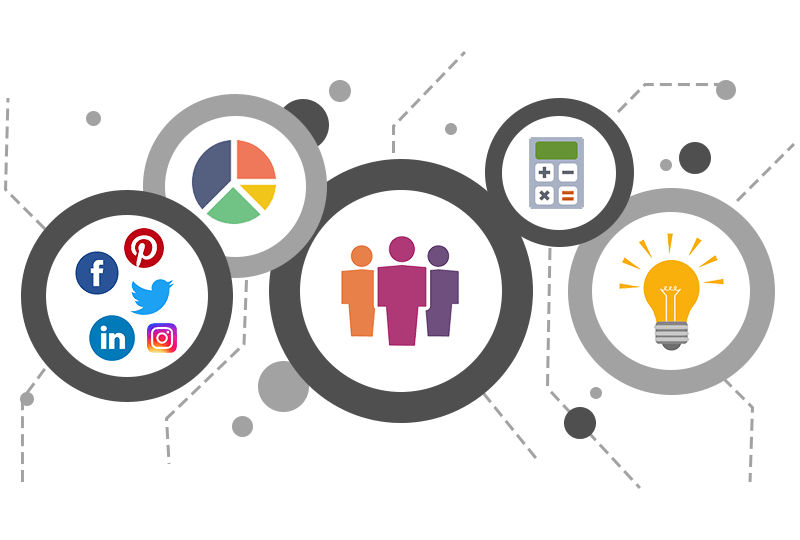 Used in tandem with SEO, social networks can be a powerful tool to drive traffic and leads to your website. Explore our social media marketing to know more.